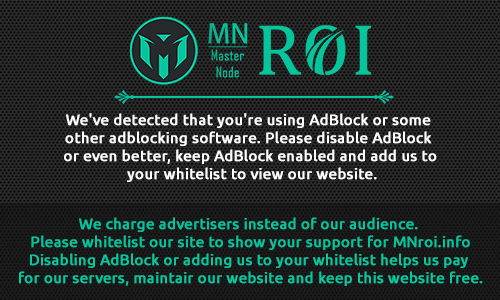 MN ROI provide masternode coin monitoring and stat service. The Data on MN ROI is for reference only. Make your investment at your own risk. MN ROI does not recommend any coin and does not research on any coin.You can research by yourself and invest on your risk. Please follow Coin Community - Develoepment team while invest money in Masternode purchases. ⓒ 2018 mnroi.info. All Rights Reserved.